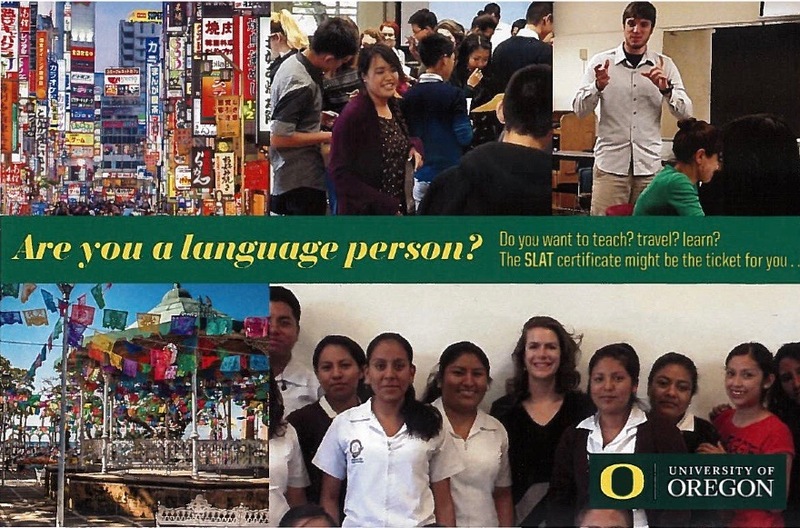 The University of Oregon offers a certificate in Second Language Acquisition and Teaching (SLAT), which undergraduate and graduate students can acquire while completing their degree in any department. The certificate requires completion of three courses in second language acquisition/teaching, three courses on the target language, and an internship or practicum experience. We interviewed the Director of the SLAT Program, Professor Melissa Baese-Berk, to find out more about this certificate and what it offers UO students. How did you get involved with the SLAT program? When I started at the UO in 2013, I taught LING440 (Linguistic Principles and Second Language Acquisition), which, at the time, was one of the introductory courses for the SLAT program. A year later, I began a term as the interim director of the program, and took over full time as the director of the program the year after that. What are some of your duties? I have a lot of hats in the linguistics department, including teaching and research responsibilities outside of the SLAT program. Within the SLAT program, I often teach LING444 (Second Language Acquisition), which is the first class many of our SLAT students take. In my role as director, I work with advisors for the other languages where we offer a SLAT certificate to ensure our curriculum is up-to-date and rigorous. I also work to help advertise our program across the university. 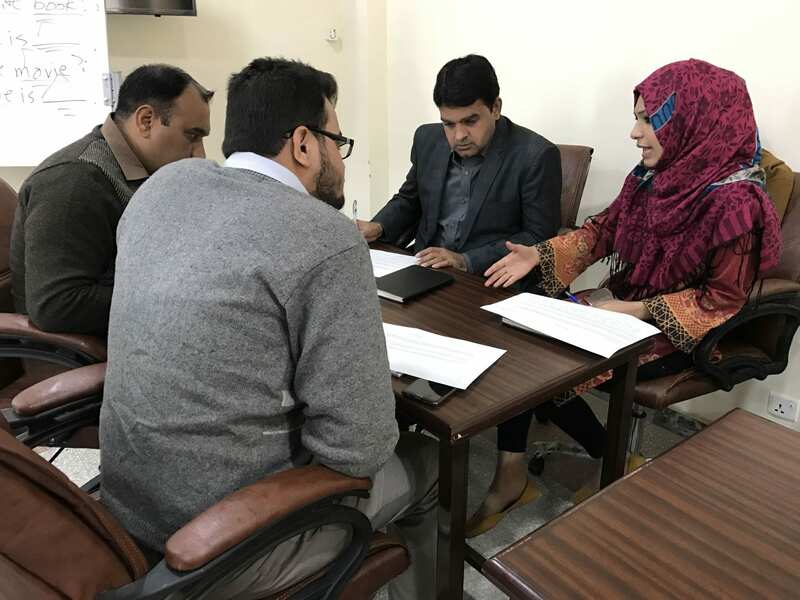 And I serve as an advisor in the program, so I often meet with students to create a plan of study, to help arrange internships, and to help plan post-graduation experiences. What should students know about how it works and what it offers? The program offers an exciting and dynamic approach to understanding second language learning and teaching. The courses range from the highly theoretical (LING444: Second Language Acquisition) to active teaching practice (LT437: Second Language Teaching Practice). This gives students a real leg up when they actually get into a classroom to teach after graduation. The amount of instruction and practice our students get during the certificate program exceeds the minimum recommendations from TESOL International and is substantially more rigorous than many other TESOL or TEFL certificates. From a practical perspective, students should know that the SLAT program consists of 7 courses and can be completed in as few as 3 terms. We have more information about how to plan what courses to take and when here: https://slat.uoregon.edu/course-calendars. Students should also note that if they are currently completing a Bachelor of Science, we also require them to demonstrate proficiency equivalent to two years of college instruction in a non-native language. Students completing a Bachelor of Arts will complete this requirement as part of their university-wide graduate requirements. What do you like best about it? My favorite part of the program is our students! I really love their enthusiasm and passion, and they make my job much more rewarding. I also really love the structure of the program. I think it offers a really nice balance so our students are not only attractive to employers, but are also prepared to succeed in the classroom. What kind of students are drawn to this program? Typically, students who are interested in languages and language teaching. They come from a wide variety of majors across the university, which makes the courses really dynamic. Some students come in with lots of language learning experience and others have relatively little. Some students come in with a background in linguistics, while others have never heard of linguistics before taking their first SLAT class. The wealth of backgrounds and experiences enriches our classes and ensures that the material is accessible to a broad audience. How do students use the SLAT certificate after they graduate? I would say most of our students focusing on English complete the SLAT certificate so that they can teach English abroad. 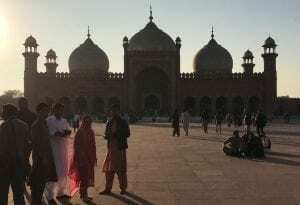 They often use this as an opportunity to travel and explore cultures outside of the US. Some students discover a passion for education and enter volunteer service programs after graduation, like Teach for America or the Peace Corps. Some students also use this as a springboard for graduate education (including our LTS program–see below*). Because many schools and universities in the US require a Master’s degree in order for an individual to teach, some of our students decide to pursue post-graduate education in order to have a greater breadth of opportunity. NATASHA: I’m an undergraduate majoring in Chinese. QUYNH: I’m a Linguistics major. How did you find out about the SLAT program? NATASHA: I found out about the SLAT program when I was looking into majoring or minoring in language teaching. QUYNH: I knew SLAT from my advisor when I met her the first time in orientation. I asked her what should I take besides LING classes since my dream is to become a second language teacher. She introduced me to the program and encouraged me to become a part of it. Until now, I’m still thankful that I asked. ELLIE: My Linguistics Dept advisor, Prof. Eric Pederson, told me about it after I told him about wanting to be a language teacher. How would you describe your experience in the program? 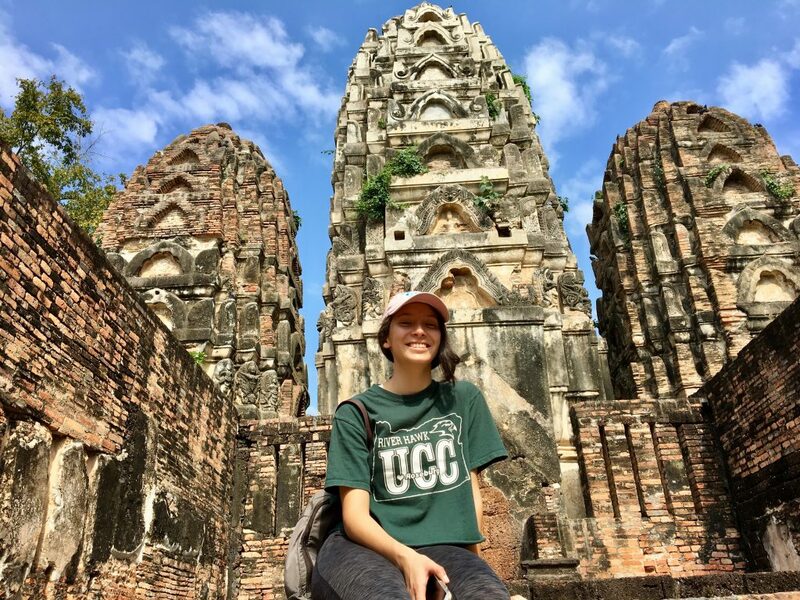 NATASHA: This program has given me wonderful opportunities including co-teaching a class at the American English Institute (AEI) and preparing my English language course for when I teach in Taiwan starting in Summer 2018. QUYNH:I love this program so much. I’ve learned so many new things everyday and met many good friends. I learned how to become a helpful teacher to my future students. I was taught not only teaching methods but also how to solve some normal classroom issues as well. ELLIE: So far, it has been amazing. My LT classes have been my favorite classes every term. Honestly, they are the only classes where I actually do all of the readings assigned. Any highlights you’d like to share with us? NATASHA: Since I have been a part of this program, my language teaching skills have greatly improved and I have developed a teaching toolbelt that will continue to grow throughout my teaching career. QUYNH: I love how diverse all of my LT classes are. I also think that having both undergrad and grad students in the same class is really awesome. I learn a lot from my classmates’ journey. ELLIE: Getting to know the graduate LTS students has been one of the highlights of this program. Everyone is so welcoming, and never have I been in a class where so many people had the same interests as me! Would you recommend SLAT to others? NATASHA: I would recommend SLAT to anyone interested in language teaching no matter how experienced or inexperienced they may be. The teachers and students that you will meet in the program are the most wonderful people who encourage you and work with you to help you become a better teacher. QUYNH: YES!! A very big yes!! ELLIE: Yes! Definitely! And for linguistics majors, this program is the perfect way to understand the application side of linguistics. What advice would you give to students who are interested in the SLAT certificate? QUYNH: Try one class and you’ll never regress. ELLIE: Try to get a job working with second language learners so that you can be exposed to as many different students as possible. Also try to get to know as many faculty members in the field, because they are a very beneficial source of information. NATASHA: I will teach in Taiwan starting in Summer 2018. QUYNH: My plan after I graduate is to go teach English in Korea. ELLIE: I plan to spend two years in the Peace Corps and then return to the States for graduate school. 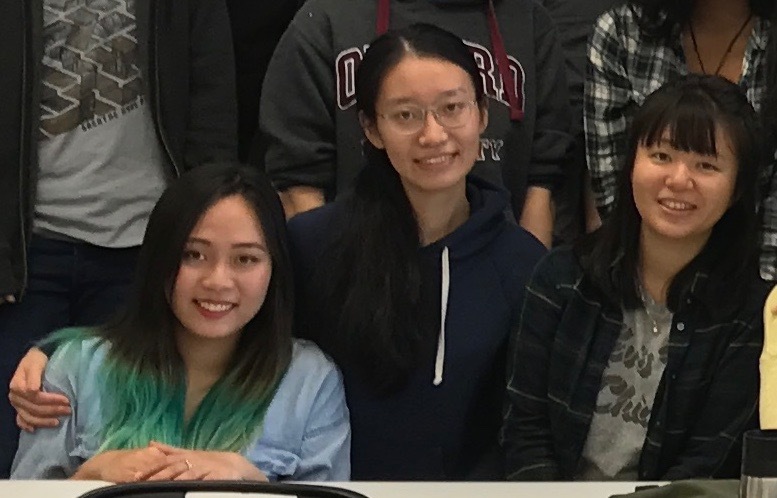 We wish Natasha, Quynh, and Ellie our best wishes for successful completion of the program and an exciting future in language teaching! Students who have completed SLAT courses at UO can apply up to 15 credits towards the LTS MA degree. LTS MA alumni who first completed the SLAT certificate as undergraduates include recent graduates Aska Omata (2017), Dan White (2017), Kateland Johnson (2016), and Ava Swanson (2016). 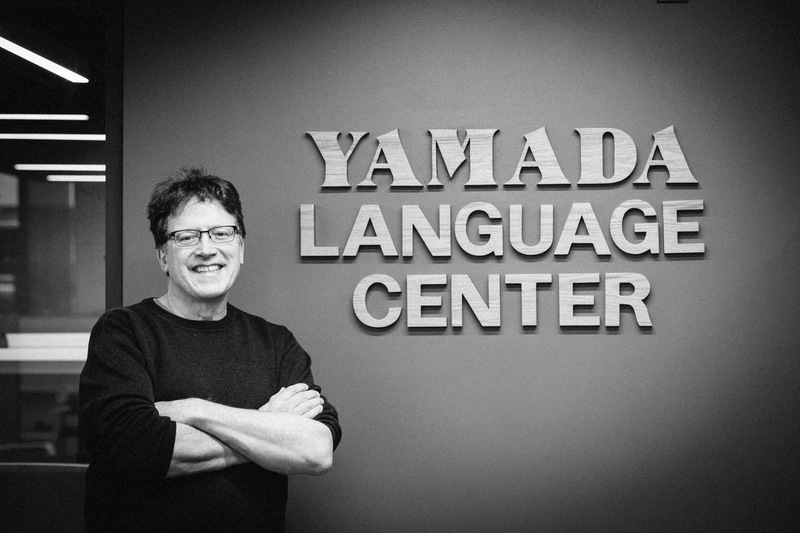 LTS faculty member Jeff Magoto directs University of Oregon’s Yamada Language Center. 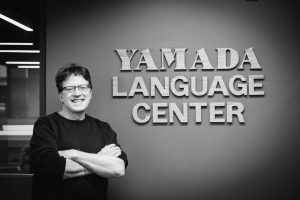 We asked him to share details about Yamada’s program offering courses in less commonly taught languages (LCTLs). Since 1997 the Self Study Language Program (SSLP) has been a staple for UO students interested and motivated to learn LCTLs. And since 2004 more than 20 of the teachers in this special program have been Fulbright Language Teaching Assistants (FLTAs). They’ve come from 15 different countries and have taught Arabic, Hindi-Urdu, Korean Persian, Swahili, Thai, Turkish, Wolof, and Vietnamese. 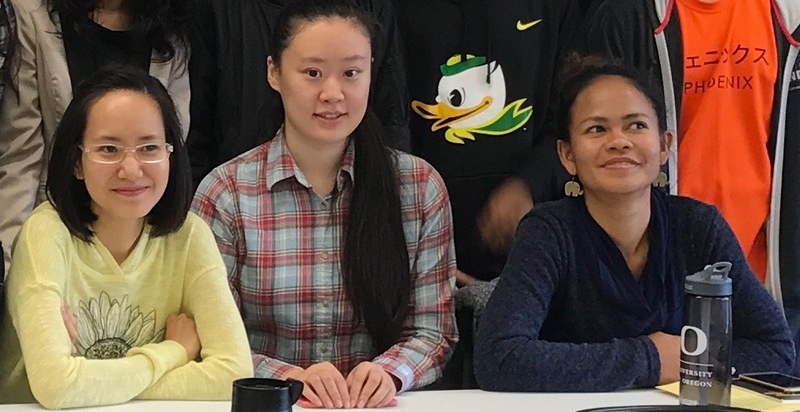 In exchange for offering the language and cultural outreach, they get the opportunity to study at the UO for a year tuition free. 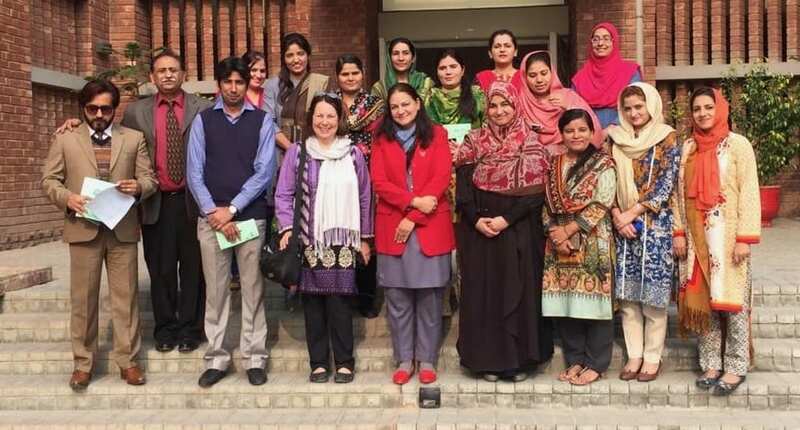 The FLTA program, which is sponsored by the U.S. State Department, has three goals for their scholars: to teach their language; to become more skilled and well-rounded as language teaching professionals, and to provide cross cultural outreach on behalf of the university to schools and civic organizations in the local communities where they live. Last year there were more than 400 FLTAs in the U.S.
At the UO our FLTAs are connected to three departments: the Yamada Language Center where they work, the Language Teaching Studies program where they study, and the International Cultural Service Program (ICSP) where they’re part of a team of more than 40 international students providing education and insight. Alums of this program have followed many different paths upon completion of their year of service. Several have stayed on or subsequently returned to UO and LTS where they have completed graduate degrees. 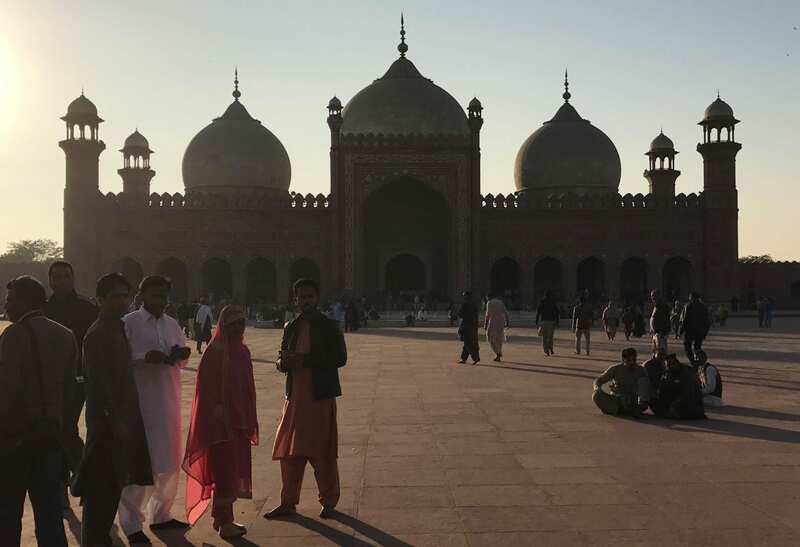 Some now have jobs at prestigious universities around the world; most return to their country and become active members of their schools and universities. In a time of limited funding for language study, there probably wouldn’t be an SSLP program without the FLTAs. 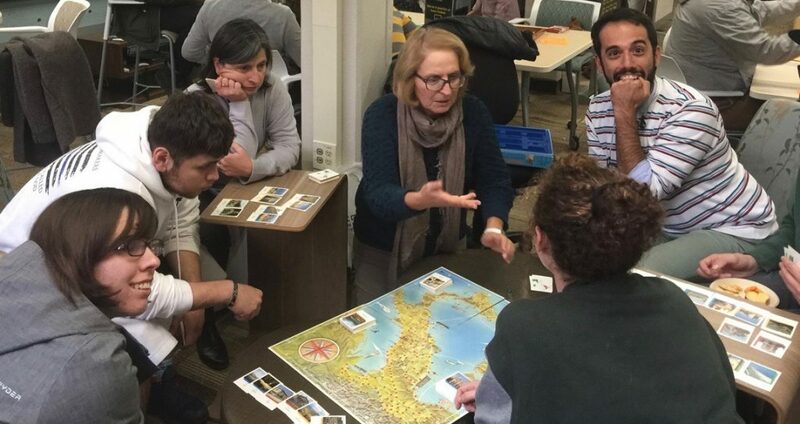 UO students are deeply appreciative of the opportunities that the SSLP offers and the energy that their tutors bring to their intimate classrooms. Cultural learning is embedded in all that they do. 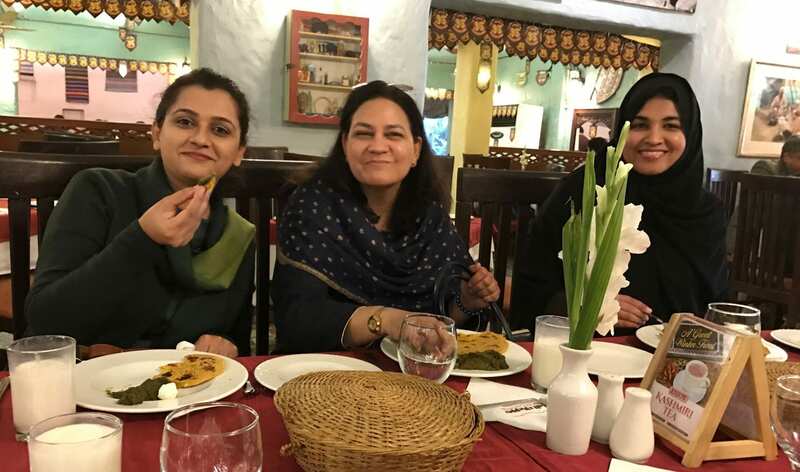 This year’s FLTAs, Amna Hassan from Pakistan, Henry Rusasa from Tanzania, and Thanaporn (Som-oh) Sripakedee from Thailand, have a busy term ahead of them. 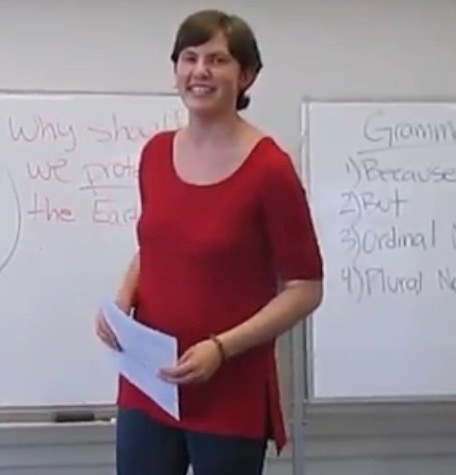 Besides taking one class in LTS/Linguistics, each will teach or assist in two classes, and give 1-2 public talks or presentations per week in the community. We interviewed them to find out more about how their year at UO is going. 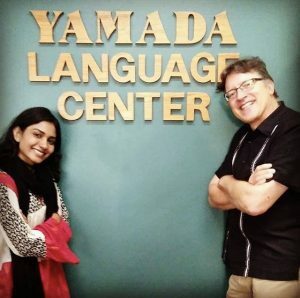 What have you learned from the experience of teaching at Yamada? 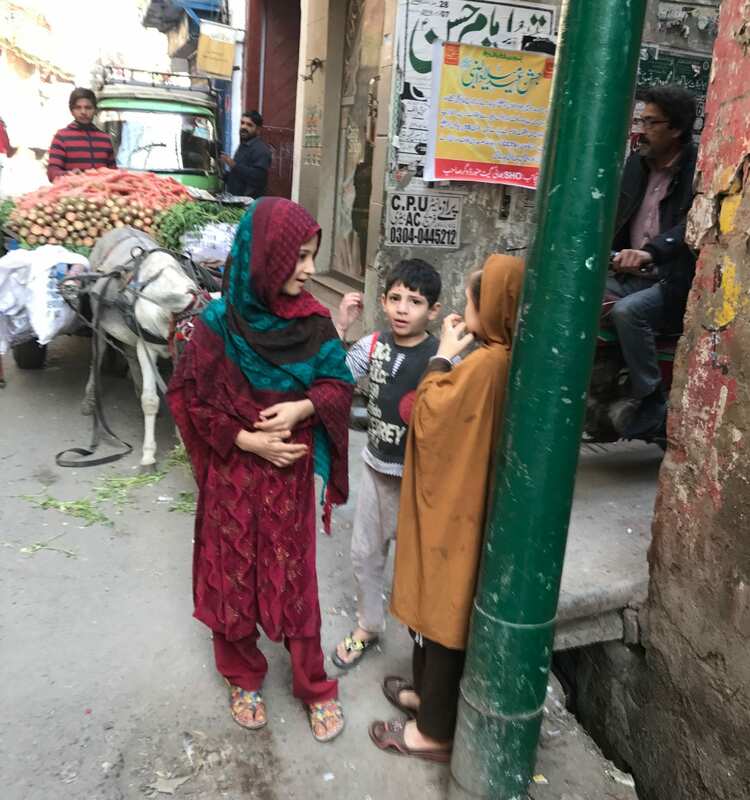 Amna: My teaching experience at the Yamada Language Center is totally different from the teaching experiences I had in Pakistan. 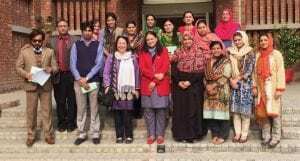 I learned different teaching methodologies and techniques in the past three months which will be very helpful in my teaching career. I learned how to make learning fun for your learners by using activities in class. And realized that this way learners can learn better rather than the classical method which we use in our country. I learned teaching is not about translating the second language into first language, solving exercises or cramming vocabulary words. Language can be taught and learned in many different ways. I am still learning from my colleagues and mentors, and my teaching experience so far is an eye-opening experience. I am ready to learn more. Henry: I have learned a lot! I have learned new ways of teaching a second language. I also learned the activities I can use to make the lessons very interesting in the class. I learned the use of technological devices and having a backup plan when there is a technological glitch. I also learned how to prepare the best slides for the lesson and how to make sure that the lesson is taught timely as planned. And my English language competence has improved. Som-oh: I always learn from my students. Teaching at YLC, the students come with their motivations for learning Thai. One of my students loves to listen and think before they speak, which has taught me to slow down my lesson. 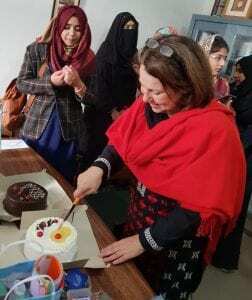 Another 65-year-old student taught me that nobody is too old to learn. He is a community member and he always keeps reflecting his learning experience through Anvil, the interactive media program created by Jeff Magoto, where we have cultural interaction every week. Through Anvil, I have learned to use outside sources such as songs, advertisements and movie trailers to build up a good lesson with my students. Secondly, I have learned to be kind and hardworking. Working at YLC allows me to meet my wonderful colleagues. Both my supervisors, Jeff and Harinder, believe in our potential as tutors. They give great support and advice every time we need it and they are very good listeners. Looking at how they work, they really give great attention and care to what they are doing. With these good examples, I have learned to adapt these with my students as well. What have you enjoyed most about teaching at Yamada? Amna: First of all, I have enjoyed the classes and the technology most. It makes teaching more interesting and fancy. Second of all, teaching is topic-based and not curriculum-based. So, I don’t have to worry about finishing the syllabus in the limited time. Last but not least, I enjoy working at the Yamada because Yamada is home. Henry: I enjoy the cooperation I get from my students. They have a real sense of humor and a great desire to learn Swahili language. This makes it easier for me to share with them my language skills and cultural experience, from which they gain the competence and confidence in using Swahili language to communicate. Their curiosity in learning new words, phrases and tenses bring them to me many times and am always happy to help them. In some of these moments I am always impressed to hear new ideas, words, grammar and tenses which they have discovered themselves. This lightens up the spirit of teaching and learning in the class. Som-oh: I have enjoyed working in the environment around YLC with its diversity of languages and people. I have met many unique people from around the world: Spain, Nepal, Turkey, Italy, America, etc. 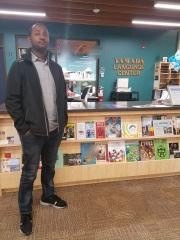 I can say that YLC is a great place to learn languages of the world. I believe that this environment promotes understanding towards diversity. LTS really likes having FLTAs in their classes. What are your feelings about taking courses with LTS students? 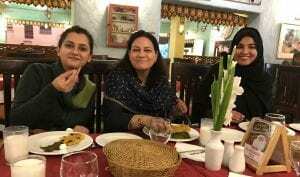 Amna: I think FLTAs are lucky to be a part of LTS classes. At first, the class environment and the teaching was all Greek to me because of different teaching and culture compared to my country. But soon I started to enjoy it. LTS faculty and cohort is full of amazing, intelligent and funny people. I love them all. Henry: I have enjoyed every course I have taken with the LTS students. I can say they are an amazing group of students you can find at the University of Oregon. We have had time to share our cultural and language experiences in a funny way both in class and outside the class. They understand the challenges non-native speakers of English face, and from time to time they help one speaker by making some corrections and suggestions on grammar or the structure of the sentence carefully without offending the speaker. This makes everyone free to air his or her views and participate in the class activities confidently. This teamwork spirit and an understanding we have makes us remain friends even after finishing the course. Som-oh: LTS students aren’t only my classmates but we have also become friends outside the classroom. Taking LT 528 allowed me to get to know teacher-friends and share our teaching passions through projects and discussions. Moreover, the instructor, Trish, provided us with activities to get to know each other better. For example, writing about my discourse community which helped me to get to know other classmates who are interested in the same discourse. From there, I went to see one of my classmate’s Frisbee games. This opened my eyes to a different community in Eugene. Another great experience was to share our international dinners, brunches during the term and after we finished the course. Not many classes I have experienced were like this, and I am hoping to be in an LTS class once again. 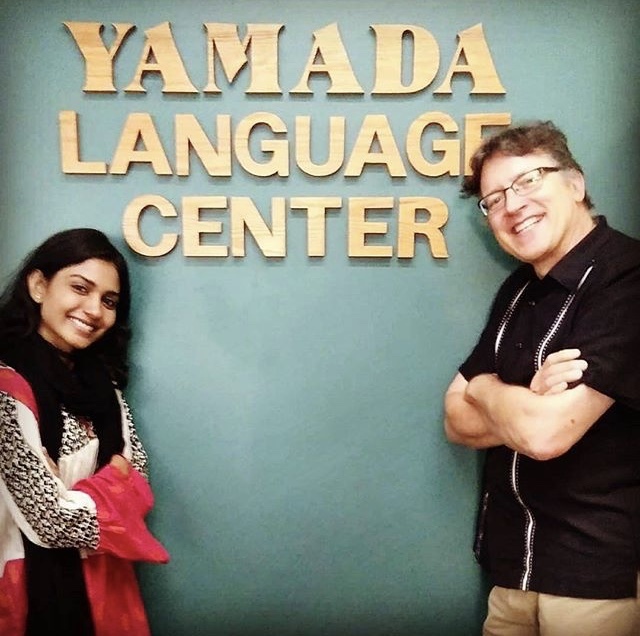 It was a pleasure learning from Jeff Magoto about LCTLs at Yamada Language Center and checking in with the current FLTAs teaching Hindi/Urdu, Swahili and Thai. Next week, the LTS blog will feature Yamada’s Vietnamese teacher–Ngan Vu–who is also a student in the LTS MA program.